I think most of us agree that scrawled “tags” are an eyesore. The product of juvenile half wits with nothing better to do. 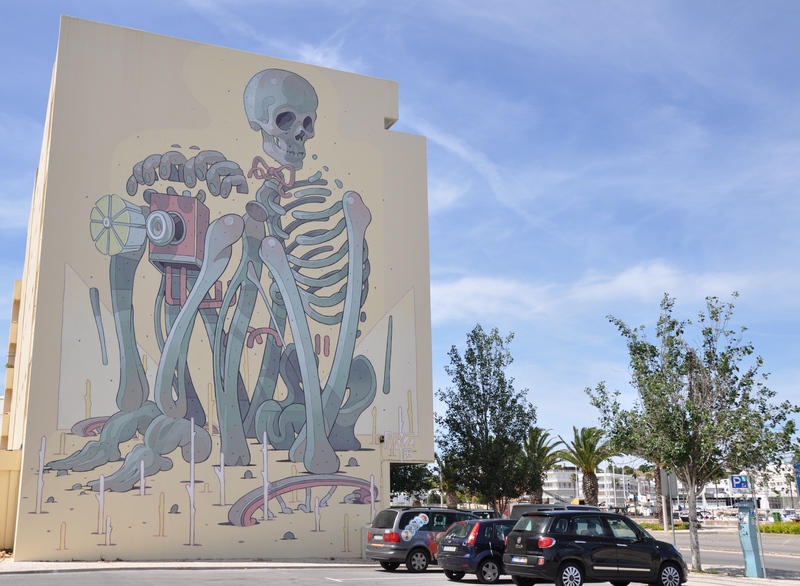 But now and again I spot a really clever piece of street art, like this one in Lagos in the Algarve. Watch out Banksy – there’s another artist around who also has a head for heights! This entry was posted in Home and tagged algarve, graffiti, Lagos, photographs, portugal, street art, street photography. Bookmark the permalink.